Y-D was able to take a 1-0 lead in the first on a single from Bradley Beesley that drove in Zach Ashford. The Sox bats really came alive in the fifth inning when they strung together three hits to produce five runs and take a 6-0 lead. Christian Koss drove in a run on a sacrifice fly which was followed up by an Andrew Daschbach single that drove in the second run. Daschbach ended up scoring on a passed ball right before Zach Zubia had a two-RBI single. Bourne scored their first run in the bottom half of the fifth with a single to left field from Thaddeus Phillips which allowed David Langer and Ashton Bardzell to score. Y-D was able to cross a few more runs, one in the eighth and one in the ninth, and keeping the Braves off the board until the ninth when Tyler Fitzgerald doubled in a run. 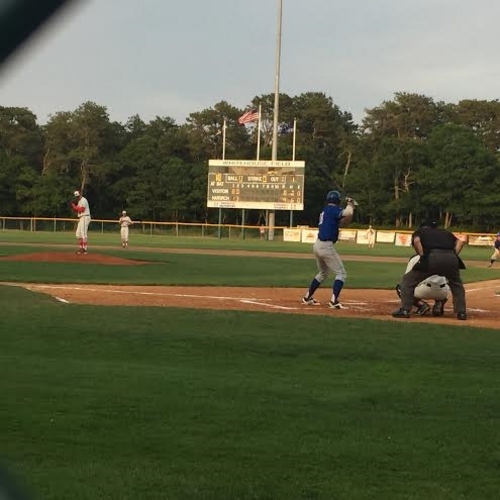 Hyannis could not control Falmouth in the second inning, allowing the Commodores to take a commanding 4-0 lead. After a single from Logan Davidson, Kyle Stowers scored from first with the help of a throwing error. Hayden Cantrelle then tripled to clear the bases and take a early commanding lead over the Hawks. Hyannis did fight back in the third with the help of a Davis Wendzel solo home run and a groundout from Braden Comeaux that scored Tommy Jew. The Commodores took those two runs right back in the bottom of the inning on a Davidson double and a Cameron Cannon single to center. The Commodores added one more run in the seventh to seal it on a Stowers solo jack. This game was called after five and a half innings, but the Kettleers were well ahead of the Anglers at that time. Chatham jumped on Cotuit in the first with a five spot that featured two two-RBI doubles from Kyle McCann and Ben Ramirez. The Kettleers had a five-run inning of their own in the second with the help of a two-run double from Jonathan Robertson and a two-run homer off the bat of Zachary Biermann. Cotuit scored three more in the fourth inning on a Biermann double and a Garrett Wolforth single to take an 8-5 lead. After their three-run fourth, Cotuit crossed seven more in the fifth that was capped off with a Michael Toglia three-run blast to make it 15-5, eventually the final score of the ball game.